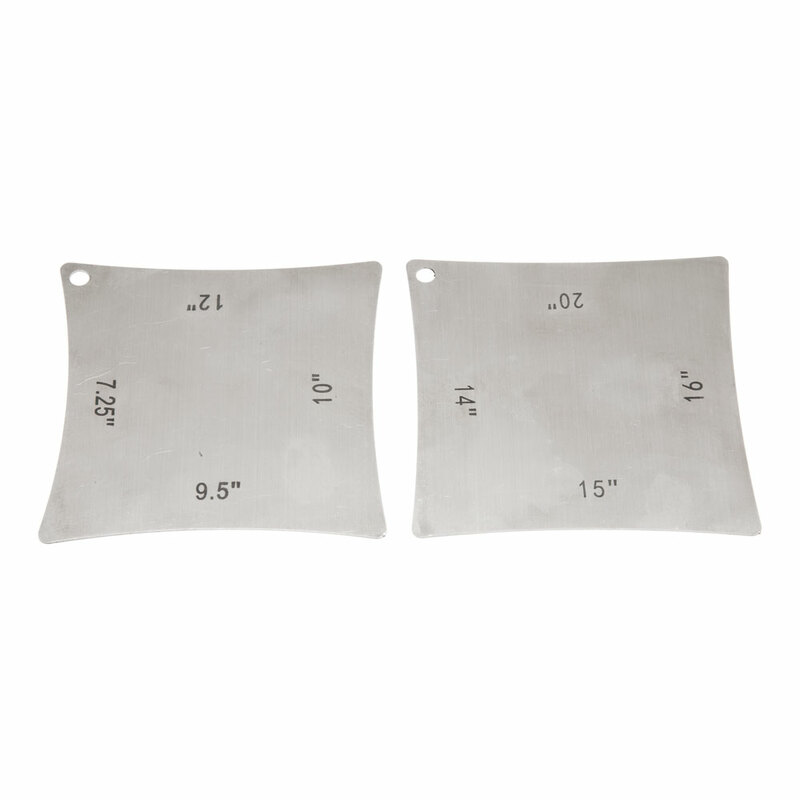 Radius Gauges allow you to quickly take measurements of guitars you are working on, they are laser cut in stainless steel and feature all the commonly used radius measurements. You can use them to check your progress when sanding a radius in to a new fretboard, marking out the top of a new bridge saddle or nut, or checking an existing guitars fretboard or bridge radius for set ups. One gauge has 7.25", 9.5", 10", and 12" radius edges, the second has 14", 15", 16", and 20". One features 7.25", 9.5", 10", 12" the other has 14", 15", 16", 20"